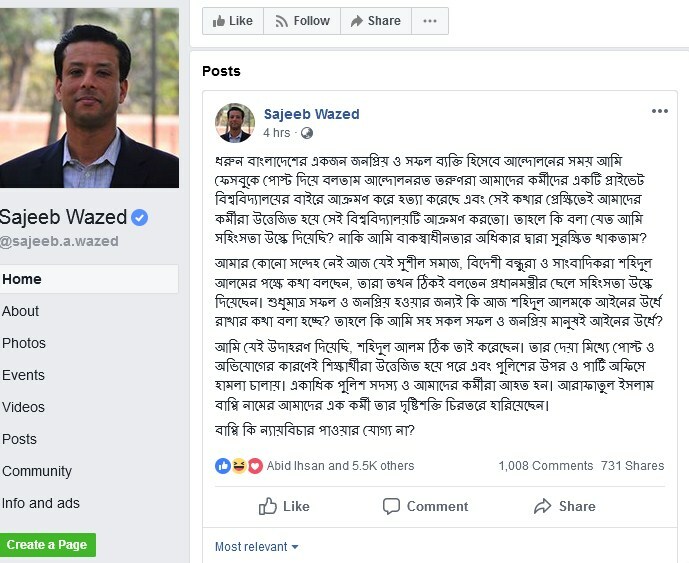 Dhaka, Aug 10 (Just News): Prime minister Sheikh Hasina’s son and her adviser Sajeeb Wazed Joy on Friday blamed arrested photographer Shahidul Alam for the attack on police and the office of ruling Awami League during students’ protest over road safety on August 5. ‘Because of his false posts and allegations students became enraged and attacked the police and our party office. Many policemen and several of our activists were injured. One of them, Arafatul Islam Bappy even lost his eyesight and is now permanently crippled. Does he not deserve justice?’ Joy said in a post in his verified Facebook page. ‘I have no doubt that our so called "civil society" and the foreigners and journalists chiming in on Shahidul Alam's behalf would have headlined that the Prime Minister's son incited violence. If Shahidul Alam is innocent only because he is accomplished and famous, then does that make me above the law as well since I am accomplished and famous too? ‘Shahidul Alam did exactly what I gave as an example above,’ he said. Teenage students, mostly of schools and colleges, took to streets for nine-point demands after speeding bus killed two of their fellows on the sideway of airport road on July 29. Scores of student protesters and at least 20 journalists were injured on Sunday and Monday as police and pro-Awami League activists clashed with students protesting for road safety at places in Dhaka and elsewhere in Bangladesh. 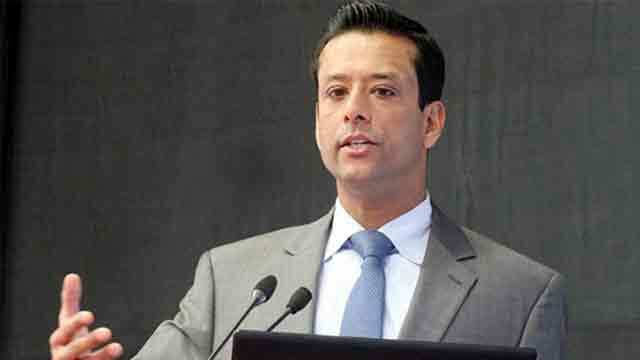 A group of 30 to 35 men in plain clothes took Shahidul away from his house late on Sunday hours after Qatar-based Al Jazeera television channel broadcast an interview of him. A court had granted seven days of police remand for Shahidul Alam after he was produced before it by police next day.